Known by the nickname ‘The Big O’ and remembered for his distinctive, powerful voice,the American singer, guitarist, and songwriter Roy Orbison sadly died on 6TH December 1988. 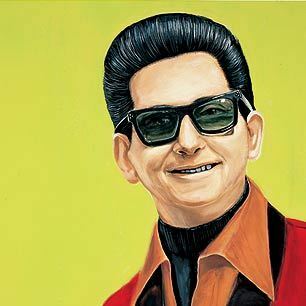 Born April 23, 1936 Roy Kelton Orbison, he grew up in Texas and began singing in a rockabilly/country and western band in high school until he was signed by Sun Records in Memphis. His greatest success came with Monument Records between 1960 and 1964, when 22 of his songs placed on the Billboard Top Forty, including “Only the Lonely”, “Crying”, and “Oh, Pretty Woman”. His career stagnated through the 1970s, but several covers of his songs and the use of “In Dreams” in David Lynch’s Blue Velvet revived his career in the 1980s. In 1988, he joined the supergroup Traveling Wilburys with George Harrison, Bob Dylan, Tom Petty, and Jeff Lynne and also released a new solo album. He died of a heart attack in December that year, at the zenith of his resurgence. Peter Buck, The Guitarist with band R.E.M was born 6th December 1956. First emerging in 1980s from the college radio scene. 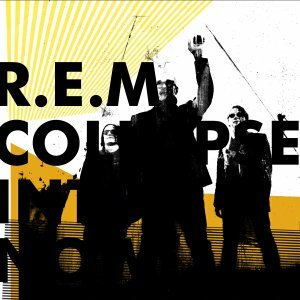 at first REM were scrappy and lo-fi, abrasive but somehow beautiful, and the development of this sound helped them become bona-fide stadium-fillers later on in their their career. They played their first gig in a church on 5 April 1980 under the name of Twisted Kites, and they played with a mixture of post-punk poise and jangly guitars which made them seem simultaneously cutting-edge and a romantic reminder of rock’s past and they soon became popular. Their music was influenced by their small-town surroundings and is closer to real life stating that “It’s great just to bring out an emotion… better to make someone feel nostalgic or wistful or excited or sad.” Commercially speaking, their breakthrough came when they released the single “The One I Love” which was taken from the 1987 Album “Document”. The next single “Freaks” saw REM outgrow the university centred underground music scene which had so-far sustained them, and they hit the big time, and Their next release 1988′s “Green” was released by a major label and was seen by many as their true peak. Lyrically, the album saw the band dealing with a number of important issues – World leader Pretend is a deft criticism of the remote ruling classes, while Pop Song ’89 tackles claims the band had sold out by purporting to be, in Stipe’s words, “the prototype of, and hopefully the end of, a pop song”.The next album “Out of Time” proved to be an even bigger hit. Featuring the career-defining singles Losing My Religion, which some regard to be the touchstone of alternative rock and Shiny Happy People, featuring fellow Athenian Kate Pierson from the B52′s. With this album it seems that The band were aiming to make a massively successful, mainstream record without embarrassing, or compromising, themselves – They certainly succeeded. Michael Stipe’s inner demons also came to the fore In the next album, 1992′s Automatic For The People, which is A more sombre, reflective album that features string arrangements by Led Zeppelin’s John Paul Jones. This album was also to yeild some wonderful songs like “The Sidewinder Sleeps Tonight” and “Everybody Hurts”. The band’s next two albums Monster and New Adventures In Hi-Fi were largely recorded live – some tracks taken from soundchecks taken during the massive stadium tour, and featured some new classics, such as Let Me In, a tribute to the recently deceased Kurt Cobain. Dave Lovering, the drummer with alternative rock-band The Pixies was born 6th December 1961. The group consists of Black Francis (vocals, rhythm guitar), Joey Santiago (lead guitar), Kim Deal (bass, vocals), and David Lovering (drums). While the Pixies found only modest commercial success in their home country, they were significantly more successful in the United Kingdom and elsewhere in Europe. The group disbanded in 1993 under acrimonious circumstances but reunited in 2004.The band’s style of music contains elements of indie rock and surf rock. Black Francis is the Pixies’ primary songwriter and singer who has been noted for his yowling delivery. He has typically written about offbeat subjects, such as extraterrestrials, surrealism and biblical violence. The group has been described as a big influence on the alternative rock boom of the 1990s, though they disbanded before reaping any of the benefits this might have brought them. Avowed fan Kurt Cobain’s acknowledgment of the debt his band Nirvana owed to the Pixies, along with similar tributes by other alternative bands, helped the Pixies’ legacy and popularity grow in the years following their break-up, leading to sold-out tours following their reunion in 2004. South African anti-apartheid revolutionary and Politician Nelson Mandela has sadly passed away from a Lung infection following a long illness on 5 December 2013, at his home in Houghton, Johannesburg. He was 95 years of age and surrounded by his family.His death was announced by President Jacob Zuma. Nelson Rolihlahla Mandela Was Born l8 July 1918 he was a South African anti-apartheid revolutionary who was imprisoned and then became a politician and philanthropist who served as President of South Africa from 1994 to 1999. He was the first black South African to hold the office, and the first elected in a fully representative election. His government focused on dismantling the legacy of apartheid through tackling institutionalised racism, poverty and inequality, and fostering racial reconciliation. Politically an African nationalist and democratic socialist, he served as the President of the African National Congress (ANC) from 1991 to 1997. Internationally, Mandela was the Secretary General of the Non-Aligned Movement from 1998 to 1999. A Xhosa born to the Thembu royal family, Mandela attended the Fort Hare Universityand the University of Witwatersrand, where he studied law. Living in Johannesburg, he became involved in anti-colonial politics, joining the ANC and becoming a founding member of its Youth League. After the South African National Party came to power in 1948, he rose to prominence in the ANC’s 1952 Defiance Campaign, was appointed superintendent of the organisation’s Transvaal chapter and presided over the 1955Congress of the People. Working as a lawyer, he was repeatedly arrested for seditious activities and, with the ANC leadership, was unsuccessfully prosecuted in the Treason Trial from 1956 to 1961. Although initially committed to non-violent protest, he co-founded the militant Umkhonto we Sizwe (MK) in 1961 in association with the South African Communist Party, leading a sabotage campaign against the apartheidgovernment. In 1962 he was arrested, convicted of conspiracy to overthrow the government, and sentenced to life imprisonment in the Rivonia Trial. I am a huge Wallace & Gromit fan and today the English filmmaker Nick Park, CBE, best known as the creator of Wallace and Gromit and Shaun the Sheep, celebrates his birthday. Born 6 December 1958, He grew up with a keen interest in drawing cartoons. He also took after his father, an amateur inventor, and would send items – such as a bottle that squeezed out different coloured wools – to Blue Peter. He studied Communication Arts at Sheffield Polytechnic (now Sheffield Hallam University) and then went to the National Film and Television School, where he started making the first Wallace and Gromit film, A Grand Day Out.In 1985, he joined the staff of Aardman Animations in Bristol, where he worked as an animator on commercial products (including the video for Peter Gabriel’s “Sledgehammer”, where he worked on the dance scene involving oven-ready chickens). He also had a part in animating the Pee-wee’s Playhouse which featured Paul Reubens. Along with all this, he had finally completed A Grand Day Out, and with that in post-production, he made Creature Comforts as his contribution to a series of shorts called “Lip Synch”. Creature Comforts matched animated zoo animals with a soundtrack of people talking about their homes. The two films were nominated for a host of awards. A Grand Day Out beat Creature Comforts for the BAFTA award, but it was Creature Comforts that won Park his first Oscar.In 1990 Park worked alongside advertising agency GGK to develop a series of highly acclaimed television advertisements for the “Heat Electric” campaign. The Creature Comforts advertisements are now regarded as among the best advertisements ever shown on British television, as voted (independently) by viewers of the UK’s main commercial channels ITV and Channel 4. Two more Wallace and Gromit shorts, The Wrong Trousers (1993) and A Close Shave (1995), followed, both winning Oscars. He then made his first feature-length film, Chicken Run (2000), co-directed with Aardman founder Peter Lord. He also supervised a new series of “Creature Comforts” films for British television in 2003.His second theatrical feature-length film and first Wallace and Gromit feature, Wallace & Gromit: The Curse of the Were-Rabbit, was released on 5 October 2005, and won Best Animated Feature Oscar at the 78th Academy Awards, 6 March 2006.